Recently Governor Snyder announced his proposed budget for legislatures to vote on. Concerned Kalamazoo residents gathered on Tuesday March 29, 2011 as Superintendent Dr. Michael Rice held a community forum at Loy Norrix High School. 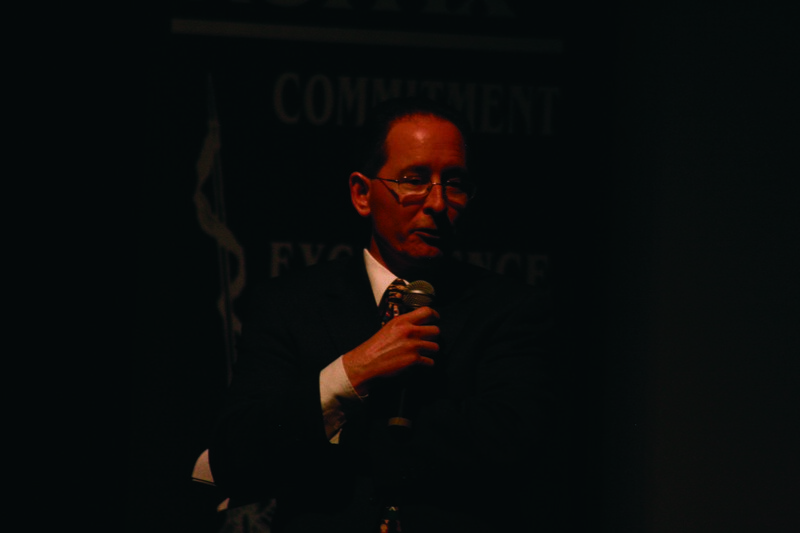 The forum included speeches made by KPS Superintendent Rice and Deputy Superintendent Gary Start. Start began the forum with a power point that highlighted previous cuts that have been made in years past to KPS programs. Previous reductions in the years 1999-2006 contained cuts of staff members, programs, materials and others, including closing three schools. Dr. Rice also pointed out other cuts made in the 2009-2011 years. Cuts were applied to teachers, principles, assistant principals and reduction in multiple budgets such as magnet school budgets and middle school budgets. The presentation also included the cuts the governor introduced which, after given in detail, add up to an estimate of 9 hundred dollars per student. In the Kalamazoo Public School area the projected number of students for the 2011-2012 school year is over 12 thousand. The total amount of cuts would total an estimate of $11 million. Loy Norrix High School social studies teacher, Art Williams, states that since education is “one of the largest expenditures” it would be the first cut. “Whoever our governor is has to balance our state budget… because we have less money, we have to make those cuts,” said Williams. Another Loy Norrix social studies teacher, Jennifer Renkowski, thinks the budget should not be approved. “In life of massive shift we are undertaking, as in leaving a manufactured economy to a service economy . . . not throwing money to education is an aberration to humanity,” said Renkowski. Dr. Rice later discussed the renewal of the Kalamazoo Regional Education Service Agency Enhancement millage scheduled for voting on May 3, 2011. A millage is a tax rate that taxpayers pay based on the value of their property. The KRESA Enhancement millage gives funding to the nine school districts that are in the Kalamazoo County. It would lower the cut rates that the district must make by collecting 1.5 mill enhancement tax and giving it to the districts to spend on expanding. “If the millage is not approved in the county, the county school districts would have to take approximately $38 million worth of cuts and we . . . would take $15 million of cuts,” said Rice. If the millage is approved, the county will only have to cut $26 million and KPS will only have to make $11 million worth of cuts if the governor’s proposal stands. Dr. Rice expressed his view about Governor Snyder’s budget too. “This [budget] would chip away at our ability to serve children,” said Rice. These cuts mainly affect the students in Michigan. Kalamazoo Public School district does not know exactly what is going to be cut or how programs are going to be cut if the budget passes. “The reality is that every single function in our district is going to be damaged for additional cuts,” said Rice. Previous Post: Hot dog! It’s time to read!